I must confess my knowledge of Korean food is restricted to the Korean barbecue, kimchi and ginseng chicken. So when we went to Seoul Yummy and M told me she had ordered 'something' and tried to describe them to me, I was a bit worried. What in the world did she ordered? 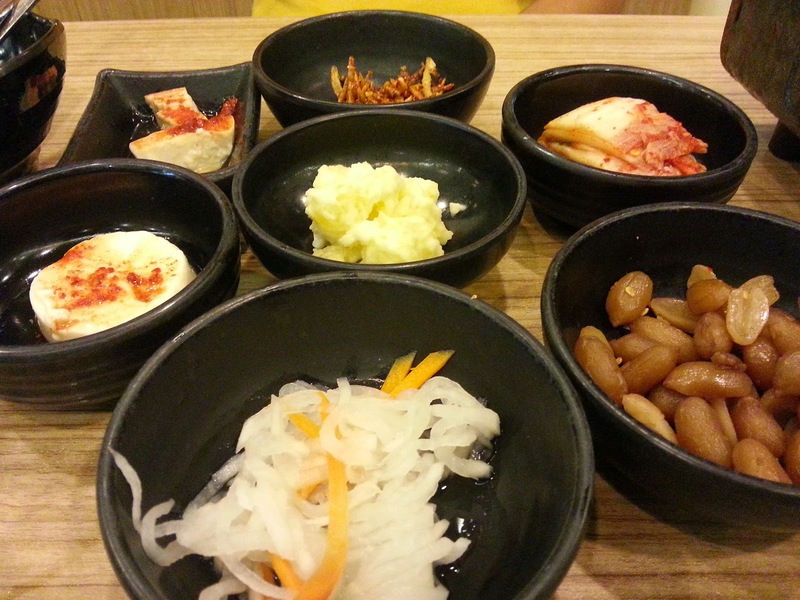 Then the friendly staff came with a few small little dishs of the usual Korean side dishes like kimchi, tofu, radish, peanuts etc. These were nice appetizers. The best part of it was that it was reprehensible and the staff keep coming back with new dishes whenever she see empty dishes. I told M she should not order any main course and we just sit there and eat these appetizers will be good enough! Turned out M had ordered the special set menu for the day which the menu described as Ärmy Food". That didn't sound very appetizing considering the state of our army food here. 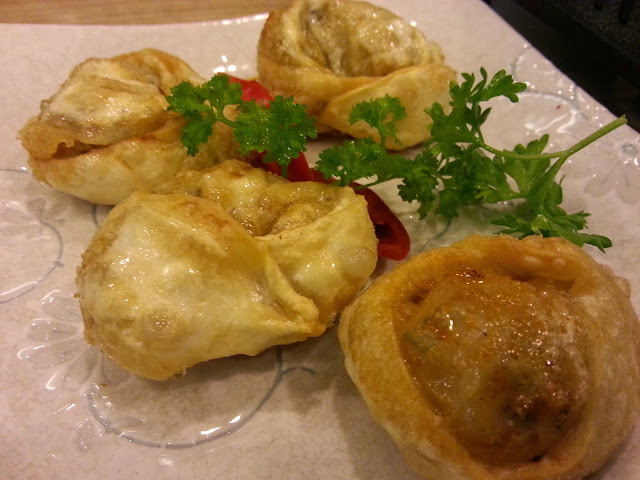 But first there was another side dish that came with the set meal, a fried kimchi dumpling. This one came with a unique greenish color spicy dip. 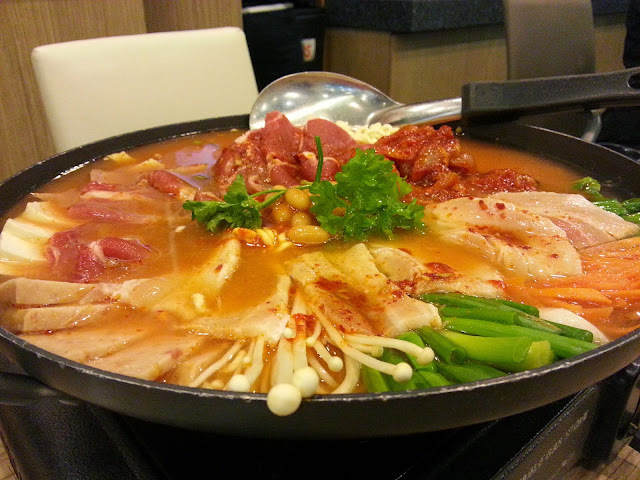 The main course came in the form of a "hotpot steamboat" sort of rojak stew where everything was dumped inside. There were beef, pork, chicken, mushroom, vegetables, tofu, Korean rice cake and ramen. Just the typical steamboat! And the set came complete with 2 brown rice and 2 drinks but because there were 3 of us, the staff very kindly gave us 1 more free drink and all these for only $49.99. Certainly value for money. And if this is army food, I think our SAF needs to fly our local contractor to Korea to learn how to provide such tasty food to our servicemen.